1. California's jobless rate reached its lowest level — 4.4 percent — on record in January as the Bay Area employment market continued to surge, reports George Avalos of the Bay Area News Group$. The Bay Area added 11,900 jobs in January — one third of all jobs gained in the state. 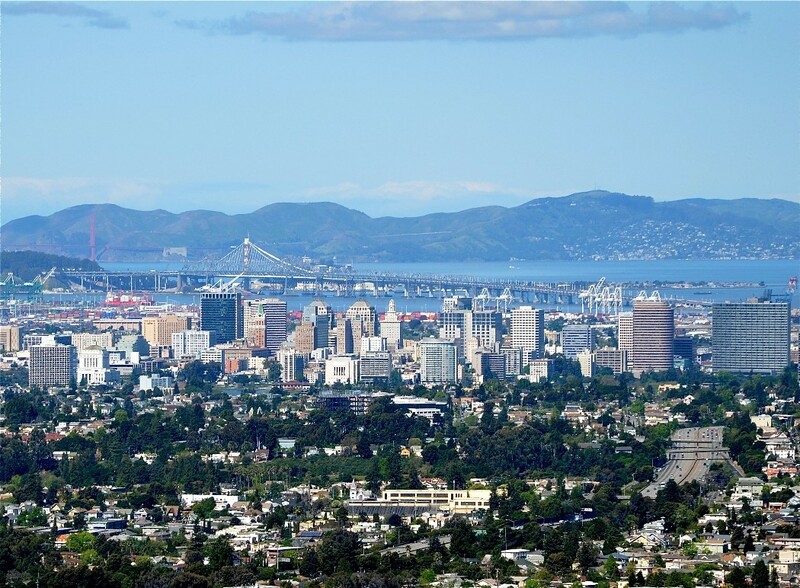 The East Bay added 3,800 jobs in the month, and "the January jobless rates in the South Bay, East Bay, and the San Francisco metro area all improved to their lowest levels since December 1999, according to Beacon Economics." 2. The Oakland City Council plans to consider a ballot measure that would establish a tax on vacant property and buildings in the city, reports Ali Tadayon of the East Bay Times$. The plan by Councilmember Rebecca Kaplan would earmark the tax proceeds to help homeless people in the city. "Kaplan said in an interview she is proposing to tax vacant lots, industrial buildings, and multi-unit buildings $6,000 a year, and vacant apartments $3,000 a year." The tax would generate about $20 million annually, Kaplan said, and would incentivize property owners to make use of their land rather than allowing it to remain vacant. 3. The Alameda City Council voted 4-1 to greenlight changes to a massive housing development slated for Alameda Point, reports Peter Hegarty of the East Bay Times$. The council's vote eased financing rules for the 800-unit housing project, thereby allowing the proposal to break ground in April. The project also includes a proposed new ferry terminal. 4. El Cerrito is in the middle of a historic housing boom, with more than 1,300 units of housing proposed or under construction, reports Chris Treadway of the East Bay Times$. The housing projects, many of them along the city's San Pablo Avenue corridor, include 220 affordable units. 5. Land around San Francisco Bay that was built on fill that was not densely compacted — such as San Francisco International Airport, Treasure Island, and Foster City — is sinking at a rate of about a half-inch per year, reports Paul Rogers of the Mercury News$, citing a new study from researchers at UC Berkeley and Arizona State University. These areas are at a greater risk of flooding in the decades ahead as sea levels rise due to climate change. 6. Many motorists who live in low-income areas are paying higher auto insurance rates in California — some are paying up to $1,000 a year more, reports Erin Baldassari of the East Bay Times$, citing new data from the auto insurance comparison company, Gabi. The disparity in insurance rates means that many Black and Latino drivers must pay higher rates for the same insurance as whites. 7. President Trump's recently enacted tax plan will deliver a serious financial blow to millions of California homeowners and could exacerbate the state's housing shortage, reports Louis Hansen of the Bay Area News Group$. "Economists expect the tax changes to drive up overall home ownership costs in California and decrease the inventory of homes for sale." 8. California health officials are warning residents of "Marin, San Francisco, and San Mateo counties to refrain from harvesting and consuming mussels, clams, oysters and other bivalve shellfish due to harmful levels of paralytic shellfish poison," reports Annie Ma of the San Francisco Chronicle. The warning only applies to shellfish caught recreationally, and the toxin is being blamed on this winter's unusually warm weather. 9. And California's cannabis czar has issued a cease and desist order to Weedmaps, directing "the internet company that maps marijuana dispensaries to immediately stop promoting businesses that don't have state licenses," reports Brooke Staggs of the Orange County Register (h/t Rough & Tumble). $ = news stories that require payment to read.